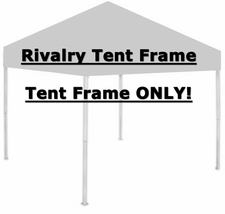 Find all the Logo / Rivalry Tailgate Canopy Tent Replacment Parts you need for your Logo or Rivalry NCAA College team tent. Side Panels: Protect from the elements or for privacy. Canopies: Replace an old or torn canopy. Click for a complete New NCAA Team Tent at a great price!